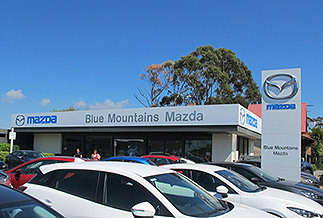 Blue Mountains Mazda are here to help you protect your investment by offering a comprehensive range of products to suit your needs, whether that be for a new or used vehicle, private or business or for a fleet purchase. If you are looking to purchase a new or used motor vehicle that will be driven predominantly for personal, domestic or household use, a finance package organised at the Dealership is a fast and flexible way to get into the car you want today. Our finance options are suitable for businesses who want the security of vehicle ownership after the final payment is made. Finance Leases are a popular solution for businesses because they enable you to secure the vehicle of your choice today without a deposit, allowing you to retain your capital for other purposes. If you would like to make an enquiry about any of our finance solutions feel free to contact us or alternatively complete the enquiry form on the right for a comprehensive, obligation free quote. With so many providers offering complicated policies, insurance can be a foggy issue. But at Blue Mountains Mazda the choice is clear. We have options across a range of Insurers to give you the absolute best cover available. It just makes sense. And you know you can count on the quality and value you’ve come to expect as a Mazda owner. From car insurance, to finance protection insurance, to finance gap insurance to extended warranty insurance, we’ve got you covered.